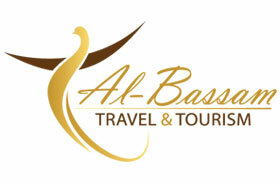 Al Bassam Travel & Tourism started its operations way back in the year 1969, as an IATA accredited member. Today it is ranked among the top five travel agencies in the Eastern Province of the Kingdom of Saudi Arabia . dynamic and Tourisms expert in the capacity of Executive General Manager Mr.Khalid A. Alsharyan , Al Bassam Travel facilitate direct access with more than 6000 Hotels including the major hotel Chains like SHERATON, HILTON, MARRIOTT, INTERCONTINENTAL & HOLIDAY INN and major car rentals like HERTZ, BUDGET and AVIS through internet service helps to provide instant confirmations at a comparatively lower rates , a highly diversified and dynamic group owned by Shaikh Salah Mohammed Al Bassam and family Founded in 1940s, The Al Bassam Group is a privately held enterprise engaged in travel, trading, manufacturing, services, distribution, real estate and investment. In the Home market of Saudi Arabia, we operate or actively participate in more than 10 companies. Internationally, we are global investors, with emphasis on both public and private equities and on fixed income securities. Organizing Tours, both on Domestic and International destinations. Individual and all-inclusive group tours. Hotel, Villa and Apartment rentals across the world. Choice of Cruise destination reservations. Car rentals across the world. Euro Rail Passes. Disney World Passes.